A sense of perspective can be a wonderful thing. With losses mounting on the Las Vegas roulette tables, the best thing might be to walk away, to take stock. 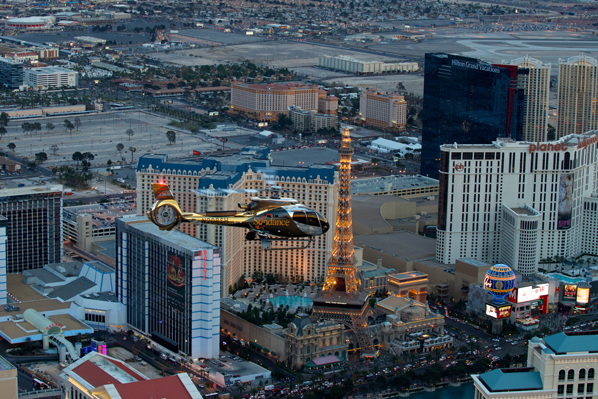 For nearly 30 years Sundance Helicopters have offered just such a service; a chance to soar over the city, drinking in some of the most famous sights on earth. 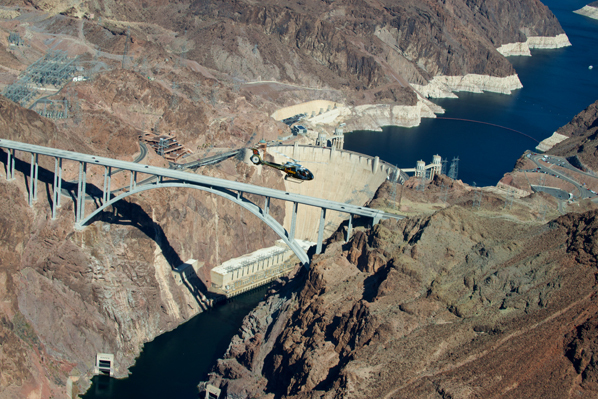 From their newly opened $2.5 million terminal on Haven Street, the organisation takes guests high into the skies over Las Vegas, showcasing the Hoover Dam, the Grand Canyon and, of course, the famous Strip. Visiting in June this year I took a ride in one of the plush EC130 T2 helicopters, flying over the Strip before landing at the Grand Canyon. I can safely say it was one of the most exhilarating experience of my life; a uniquely uplifting feeling. From the moment Sundance picked me up at my hotel in a limousine, the whole operation was one of exclusive luxury. Courteous pilots guide tours as they fly you over the Mojave Desert, pointing out wildlife that roam below, as well as the sights around celebrity enclave Lake Las Vegas. On board Bose sound systems also play appropriate music, including my personal favourite, the theme song to Superman III which was, of course, partially set in the Canyon. Tours to the Canyon take approximately two hours – with half an hour on the Canyon floor. This gives you plenty of time to takes as many photos as you need to cover all your social media profiles. Large windows around the helicopters also allow you to take photos in flight. The magnitude of the Canyon is difficult to convey; the sheer size is overwhelming. While the Colorado River wends its way onwards below, still digging the Canyon, it is possible to forget everything else around; it is a place of tremendous calm. What more could you want? Well, Sundance also throw in a champagne breakfast to make it all the more agreeable. Explaining the most recent developments at the company, Sundance Helicopters chief executive Bob Engelbrecht told Breaking Travel News: “This year is the beginning of a new era for Sundance Helicopters. “We unveiled our new EC130T2 helicopters and brand identity in March and now we’ve opened our newly revamped terminal which has the look and feel of the Grand Canyon. Sundance also has a relationship with the Native American Hualapai tribe who occupy vast swathes of land in the Canyon. This means visitors can rest assured the environmental impact of the trips is as minimal as possible, protecting the Canyon for generations to come. Back on terra firma after the flight guests are chauffeured back to their hotels, but there is nothing else in Vegas like this. A must see for all visitors to the city. 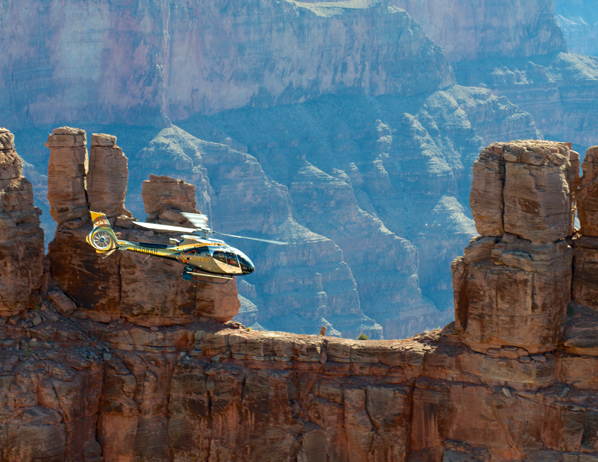 More information on the Grand Canyon Picnic with Sundance Helicopters can be found here.